Created in collaboration with the residents of Greenpoint, Martynka Wawrzyniak's latest community engaged public art project, Ziemia: Our Stories Are Written in Soil, will take the form of a ceramic orb created out of Greenpoint clay and soil contributed by residents from personally significant locations representative of their identities. The sculpture will sit atop of a native meadow garden in McGolrick Park. The project will commemorate the neighborhood's many cultures and become a locus for community programming. Greenpoint's own historian, Geoff Cobb, will lead us in a walking tour from the Kingsland Wildflowers green roof to the Ziemia site at McGolrick Park. **Walking tour starts at 3pm. Meet at Kingsland Wildflowers site. $15 per person suggested donation. Donations through NYC Audubon will go towards the completion of the Ziemia project. Kingsland Wildflowers at Broadway Stages is a Greenpoint Community Environmental Fund (GCEF) project committed to expanding natural habitat and green corridors for bird and wildlife populations. 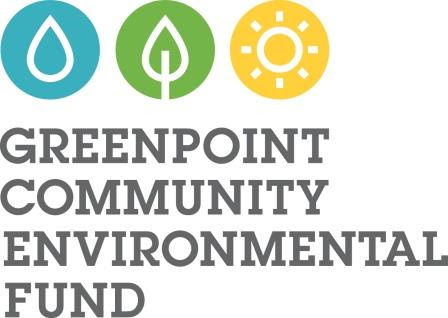 The vision, conceived through partnerships with local businesses, community voices and wildlife experts, provides Greenpoint with living and growing infrastructure to support native New York City wildlife and educational programming focused on sustainable conservation practices and wildlife protection.